School 21 is a new state-funded, inclusive years 4-18 school. The school opened in 2012 to help students succeed in the 21st century through a pedagogy of wellbeing, oracy (speaking skills), and project-based learning. See the excellent Case Study of School 21 from the edutopia Schools that Work program published in September, 2016. Head Teacher's Welcome (Peter Hyman). 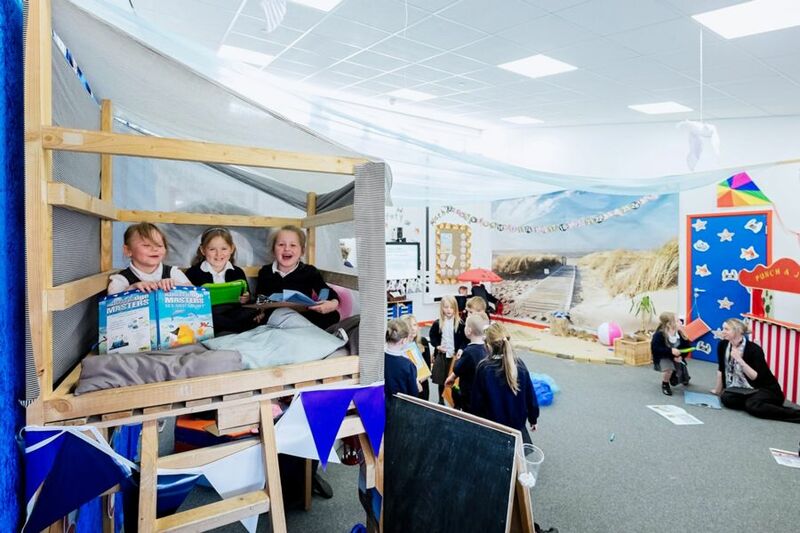 At School 21 we want to create an extraordinary place of creativity and learning. Voice 21 UK - a network of teachers, schools and educators so that one day all state schools in England give oracy the same status as reading and writing. See the Oracy Framework Poster. School 21 profile at Innovative Educational Experiences. Not your bog-standard headteacher: ex-Blair aide on the joys of the job, By Peter Wilby, The Guardian, May 10, 2016. Peter Hyman used to write speeches for Labour. Then he went off and started his own school and now spends his time ignoring government initiatives. The edutopia Schools that Work Case Study of School 21 was published in September, 2016. How 3 Interlocking Pedagogies Can Change the World (Video and Article): At School 21, the combination of teaching wellbeing, oracy (speaking skills), and project-based learning empowers students to create exceptional work that makes a real-world difference. Article by Emelina Minero. Public Speaking: Oracy Skills for the Real World (Video and Article). Also see Oracy Framework for student presentations. Oracy in the Classroom: Strategies for Effective Talk (Video and Article). Hartsholme Academy currently serves students pre-school through Year 6 (ages 4-11) and is currently in a formal consultation period for the proposal to expand Hartsholme Academy to include Key Stage Three (Years 7-9) from September 2017.
it's magical because of the people inside and what they stand and strive for. they placed the child at the center of everything! The school went from special measures to outstanding in two years and recently has been claimed as 'beyond outstanding.' Using a 'reverse learning' approach the starting point to any learning identifies what interests and motivates the children and how they want to learn. 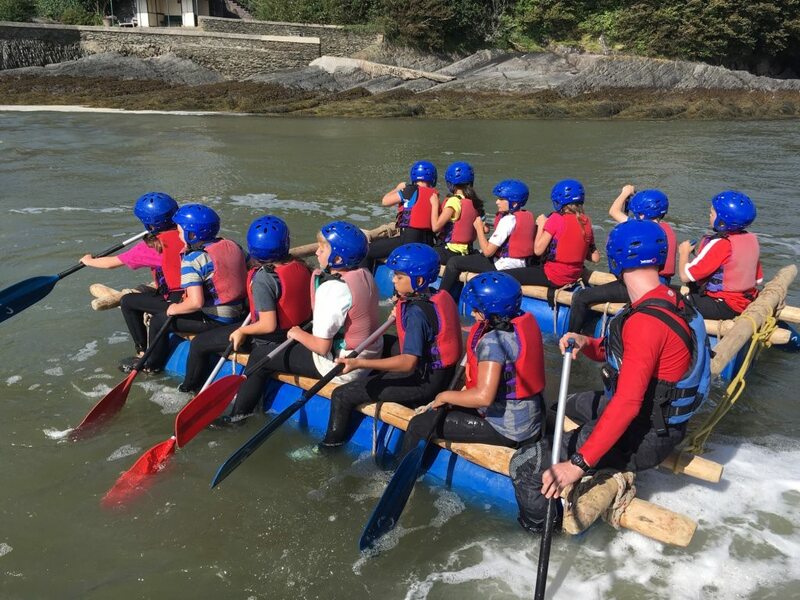 Relevant and engaging experiences are then designed, in collaboration with the children, offering rigorous learning opportunities that have authentic have real world outcomes. As time marches on the 'thinking' and doing' differently continues with a significant emphasis now being placed on ensuring the project outcomes leave a legacy outside the school walls and discovering ways to ensure the children have an even greater say in their own learning. This journey of discovery and redesign applies to all members of the school community. Carl and his team are also developing protocols to ensure enhanced wellbeing and work-life balance for teachers as well as sharing their experiences with hundreds of schools nationally and internationally under the name EOS Education. And so the journey continues for this inspirational school as it continues to rethink, research and refine the magic within. Visit Hartsholme Academy or contact EOS education for more information. The New Dawn Trust is a new multi academy educational trust made up from Hartsholme Academy, EOS Teaching School Alliance, St. Giles Academy, Woodlands Academy and East of England Teacher Training Centre. Eos Education - Eos Education work with schools, organisations and partners across the UK and the world whoseek to approach education in a different  and better  way. XP is an 11-19 mainstream secondary school in Doncaster, UK and is part of the XP Multi-Academy Trust. XP opened in September 2014 and is heavily influenced by the extremely successful practices of High Tech High and EL Education (Expeditionary Learning) schools, USA. XP's strategic vision is defined by its Design Principles. XP is a deliberately small and personalised school of 350 students in total from ages 11-19, with 25 students in each class and two classes per year group. The school will roll out over seven years, starting with Year 7 in 2014, achieving full capacity in 2020. Expeditionary Learning (EL) Model. Cross-subject expeditions. Innovation Unit on Education -We know that all young people can be successful in the 21st century, but only if we radically change how children learn, how their learning is assessed and how schools are organised. School Design Lab: School Design Lab represents a fundamentally different way to do school. One which requires a serious redesign of school structures and cultures -- from curriculum and pedagogy, to how we use resources, technology and importantly, assessment. It enables schools to place extraordinary learning and great relationships firmly at their heart. Real Projects: REAL Projects are designs for learning that connect deep subject content with real world problem solving. We're looking to connect, inspire and challenge. Work That Matters: The Teacher's Guide to Project-based Learning, By Alec Patton, Innovation Unit (UK), published as a partnership of High Tech High (San Diego) and Learning Futures, 2012.